Young entrepreneurs Linfred Yap and Wyser Co are behind the franchise of Manila's Wee Nam Kee, which originated from Singapore. Wee Nam Kee is known for its authentic Chicken Rice, as well as a wide set of other choices like chicken, veggies, soups, etc. They open today, November 15 at the Ayala Triangle Gardens and will initially serve the public from 10:00AM to 9:00PM (might extend till 11:00 depending on number of people). Thanks to Our Awesome Planet's Anton Diaz (via Spanky Enriquez) for inviting us to have the "First Taste" of Wee Nam Kee even before they open to the public. Here are some pictures taken. 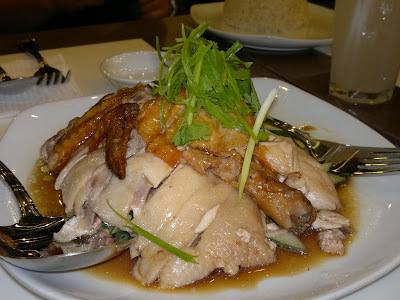 Wee Nam Kee's very popular Chicken Rice (Php40.00) is in Manila. They use chicken's broth to give flavor to the dull, plain rice. "Kanin pa lang, ulam na!" is what I told OAP's Anton. 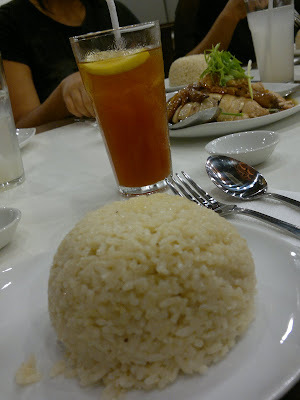 In order to appreciate it, I suggest you eat a bit of the rice first without any chicken or whatsoever. 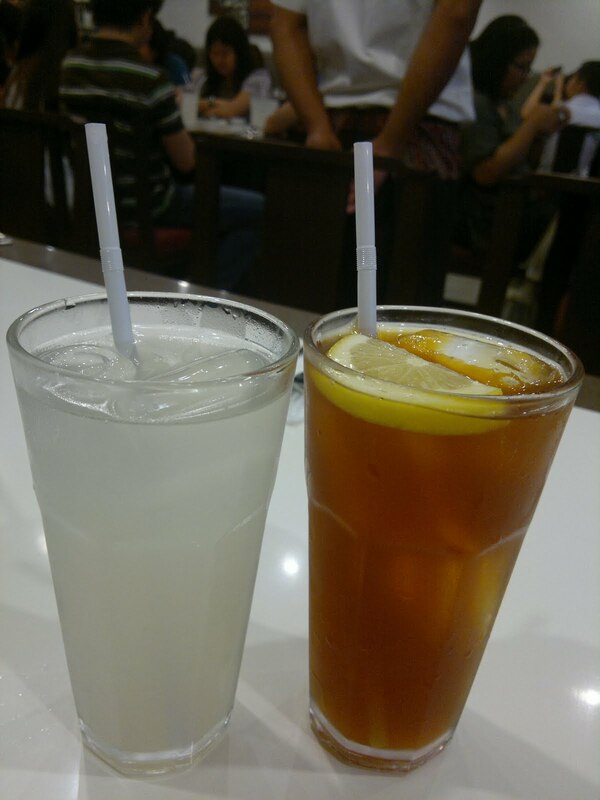 Their Barley and Iced Tea drinks aren't the usual instant or powder ones. They mix and cook flavors for about 30 minutes or more, so it tastes uniquely refreshing for foodies. Not my kind of drinks though, but yummy for other people. Two choices of chicken to choose from - steamed or roasted, which can be dipped into DIY sauces. 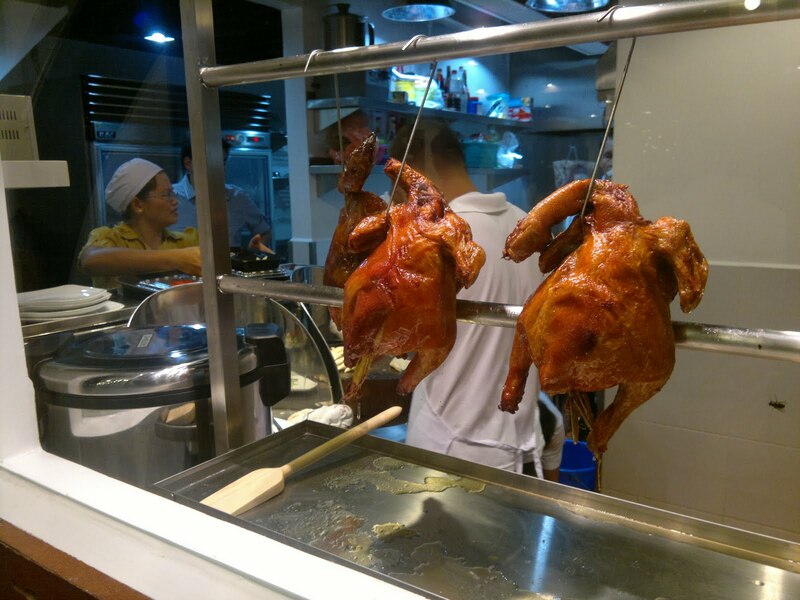 Steamed is a healthier choice, but can have lesser taste than the roasted one. You can get a Personal Set for as low as Php168.00. You can mix dark soy, ginger, and chili sauce altogether, depending on how you like your chicken to taste. This gives a different taste to the chicken all together. 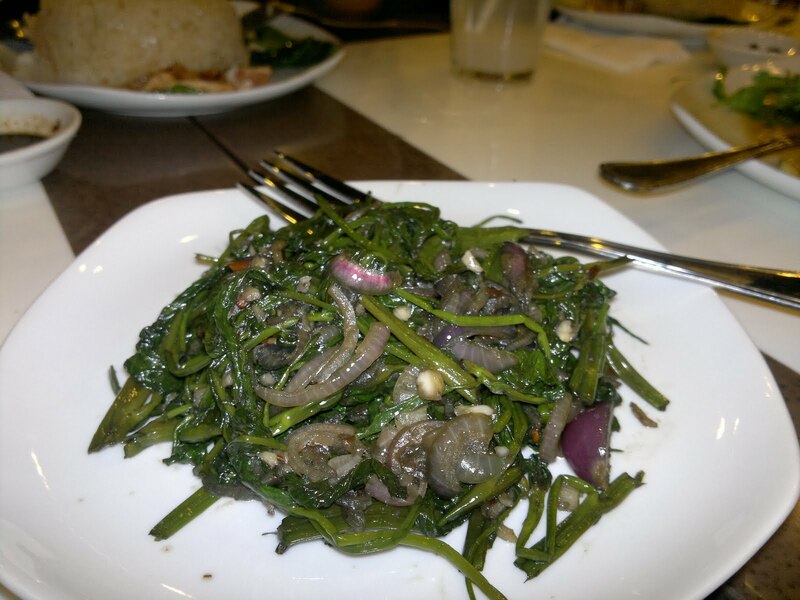 Pictured above is the Stir-Fried Baby Kai-Lan in Oyster Sauce, priced at Php180.00. It's good for about 2-3 people. It has a bit of sweet taste to it, which I really liked. 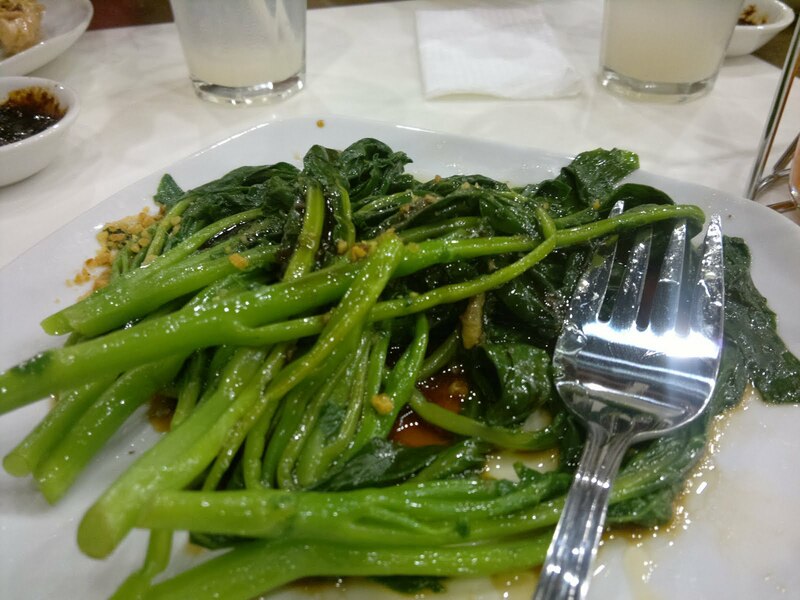 And the vegetables are super fresh and crunchy. Sambal Kang Kong priced at Php190.00 is one of Wee Nam Kee's popular dishes. It's Kang Kong cooked with different mix of chili and other flavors. 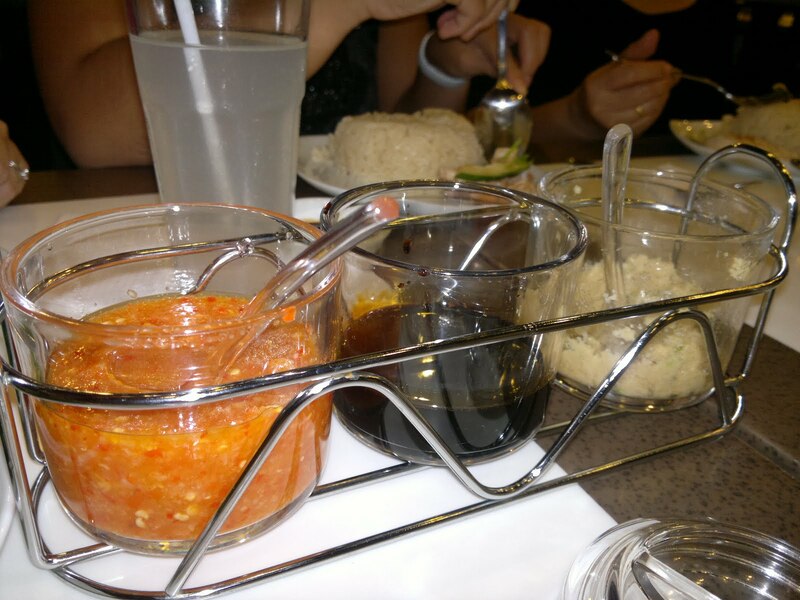 Don't worry, the spiciness of the food is very much tolerable, unless of course you're really allergic to chili. Four pieces of Cereal Prawns would cost you about Php375.00. 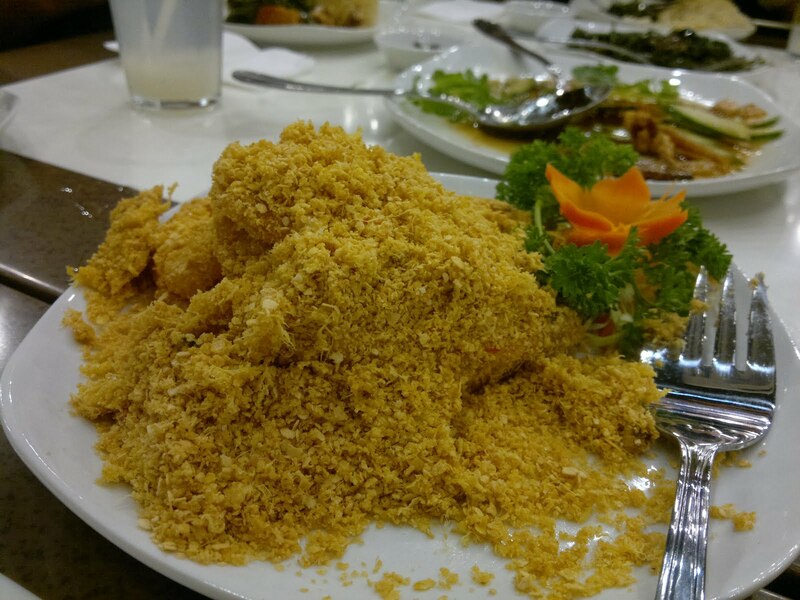 One of the head waiters told us not to remove the shell of the prawns. As it is cooked crunchy and delicious, almost the whole piece of the prawn can be eaten. The cereals added sweetness on the prawns, while the chili bits balanced the taste. I admit I'm not a food photographer, so pictures might not be that much enticing. But I tell you, you must try their food. Prices aren't bad too. 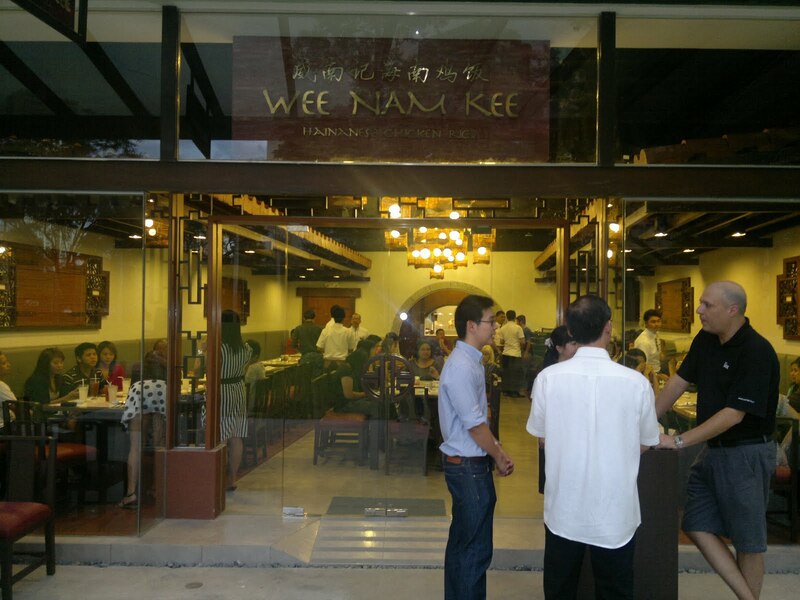 Visit Wee Nam Kee this or next week, and you might be able to meet the Singapore and Philippines owners. Reservations are now accepted by calling their landline number (+632)846-8924. Whoa! I'd love to try this. :D *peers at first comment* But maybe on a weekday when there aren't too many people. Hi, nice blog & good snaps. overall You have beautifully maintained it, you must submit your site for free in this website which really helps to increase your traffic. hope u have a wonderful day & awaiting for more new post. Keep Blogging! Actually not yet. Saw your post. Wow, lots of delicious food! I better head to Wee Nam Kee again this year. Been a long time. Thanks!